Many bicyclists in the community fail to obey certain traffic laws. These cyclists just continue riding past stop signs, failing to come to a complete stop or will roll through red lights as though there are no oncoming vehicles. While they may appear to be violating the law, the cyclists may be in the right to do so. This is not to say that abandoning common sense is a good idea. But, research is showing that it might be a little safer for bikers to view red lights as stop signs and stop signs as yield signs. Why you ask? In 1982, Idaho became the first state to permit cyclists the flexibility they need in handling traffic at intersections, which is why this behavior is referred to as an “Idaho stop.” The rule the state put forward is simple. A bicyclist approaching a stop sign can simply slow down at the intersection to look for traffic. The cyclist must only give up their right-of-way if any passenger vehicle, truck, pedestrian or other bicyclist is present or approaching. If no traffic is present, the bicyclist can proceed slowly using the stop sign to yield instead of stop. Bicyclists in Idaho can handle red lights similarly but need to come to a complete stop before proceeding. 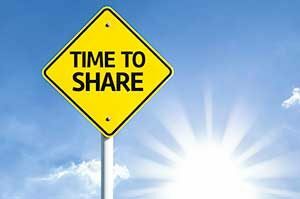 If another bicyclist, pedestrian, motorcycle, passenger car, truck or other vehicle is present or approaching, they are given the right-of-way instead. If no traffic is present, the cyclists can cautiously move ahead into the intersection. This change in the law allows the cyclist to view a red light is a stop sign. The construction of new bike lanes and barriers in the South Loop is set to begin in 2017 and the project is meant to reduce the number of bicycle and pedestrian accidents in the area. As Chicago continues to present itself as a bike friendly city, a recent string of bicycle related fatalities and injuries has sparked concern over how well the city has adapted to the needs of the cyclists it is trying to attract. Members of the community are hopeful that this project will address these concerns and make the streets safer and easier to travel for bicyclists and motorists alike. 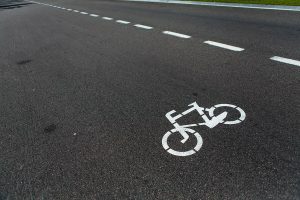 Residents were invited to a meeting over the matter of bike safety on August 23rd, where the proposal to increase the number of bike lanes, bike traffic signals and barriers was presented. A supermajority agreed with the plan and residents became excited over its implementation, believing that it was long overdue and needed to ensure the safety of motorists, bike riders and pedestrians alike. The details of the plan include the following. While Chicago tries to present itself as a bicycle friendly city, an epidemic of accidents has presented a dark, dangerous and deadly shadow upon those efforts. Six deaths this year and numerous other accidents have made this a record year in regards to fatalities and injuries. 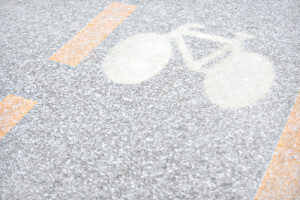 It is reasonable to assume that the uptick in bicycle accidents may be influenced in part by the flood of new bicycles into the area, but many of the accidents reported in recent history are symptoms of far more serious concerns. 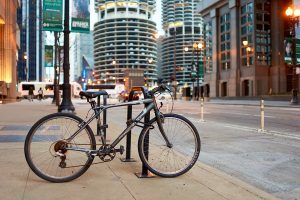 The Chicago bicycle accident attorneys of Rosenfeld Injury Lawyers LLC believe these incidents reflect inadequate measures put in place to protect cyclists and disregard on part of motorists for their safety. September has been a horrible month for Chicago area bicyclists, with the number of fatalities occurring in the month equaling the total for all of last year. The accidents involving bicyclists include the following incidents. Since the launch of the Chicago Bike Share Program two years ago, getting around Chicagoland has never been easier. The city’s Divvy bike program has made it a simple process for residents and visitors to avoid delays of the Chicago Transit Authority (CTA) during busy times of the day. However, many of the city and suburban residents have yet to embrace the concept of renting a bicycle at more than reasonable prices for a short ride through congested areas of town. 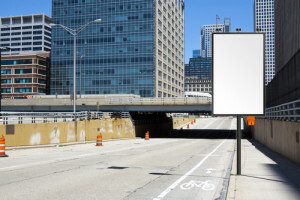 This is likely because of the video that aired with the story of a 24-year-old who was seriously injured after being struck by a vehicle while riding a Divvy bike on Lake Shore Drive in the fall of 2015. The medical student suffered brain trauma. Since its inception, the Divvy program has reported more than 3.2 million completed rides. Statistics from the Chicago Department of Transportation (CDOT) are even more impressive knowing that only 18 accidents involving Divvy have occurred in all that time. The limited number of collisions seems a bit surprising to motorist riding behind cyclists traveling down Lake Shore Drive and Dan Ryan Expressway during heavily congested times of the day. Bicyclists rarely receive the respect that they deserve from motorists and are often placed in precarious positions by the very laws meant to protect them and keep them out of the way of traffic. 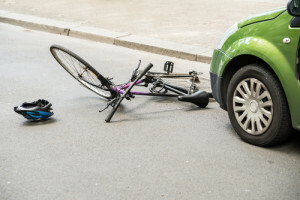 The Chicago bicycle accident attorneys of Rosenfeld Injury Lawyers LLC frequently come across accidents that occur due to the failure of drivers to check for oncoming cyclists before opening their doors into the cyclists’ paths. Running into a car door can result in serious injuries and bicyclists involved in dooring accidents must often go through long and painful recoveries following their accidents. This is a shame when considering that these incidents can often be avoided. 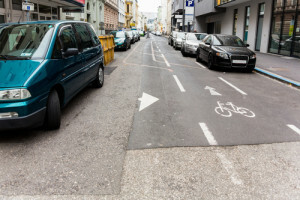 Plainly put, the door zone is the area where every bicyclist is at the greatest risk of being involved in a dooring collision, and this zone is unavoidable in many cases due to the laws and rules imposed on bicyclists to keep them out of the path of the cars and trucks that they must share the road with. While cyclists are given the same rights as motorists on the road, this often comes with a caveat. They are limited to the far right side of the road or bicycle lanes that take them directly into the path of an opening door. Lack of helmet use has a clear link to serious injuries to the head, neck and spine resulting from bicycle accidents and the City of Chicago could follow other cities’ leads by rolling out a helmet distribution program to accompany the Divvy bike sharing service that allows people looking for healthy alternatives to travel to pick up a bike from one of many locations spread throughout Chicago and to return it later that day. The helmets would be distributed via machines that would allow bicyclists to obtain a helmet for a rental fee and to return it later into another receptacle so that it can be properly cleaned and sanitized. If successful, the hope is that more bicyclists riding in the city will use helmets, reducing the number of serious injuries that occur in accidents. Chicago will not be the first city to attempt the feat of encouraging bicyclists to wear helmets. Boston and Seattle have both rolled out their own programs and seen varied levels of success. In Boston machines similar to the ones Chicago is planning to use were placed throughout its Hubway system— the equivalent of Chicago’s Divvy service. The machines failed to encourage enough cyclists to obtain helmets and the machines were later removed. Boston still offers helmets to Hubway users but they must now purchase them at the time they buy a membership. Few individuals would elect to drive a motor vehicle or ride as a passenger without wearing a safety belt. 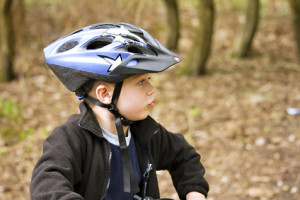 However, many adults and children ride bikes without a helmet. Hopping on a bicycle without wearing a safety helmet can cause significant life-altering problems if you are involved in a collision, crash or spill. Wearing the safest bicycle helmet will not only increase your chances of saving your life, but also prevent or reduce the severity of an injury to your head when involved in a crash. 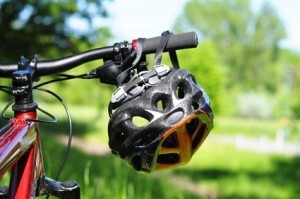 However, to be its most effective, you must wear the helmet faithfully to reduce the risks of head injuries when taking a spill on a bike trail or city street.